The Washington Metropolitan Area Transit Authority (MWATA) announced Tuesday that it has released three property solicitations for bid, including a full city block in the heart of Old Town North Alexandria, Virginia. The 2-acre Old Town North site, which is two blocks from the Potomac River, is the location of the former bus maintenance and storage facility that was vacated in August 2014. The Alexandria City Council and administration has made the property’s redevelopment a priority. 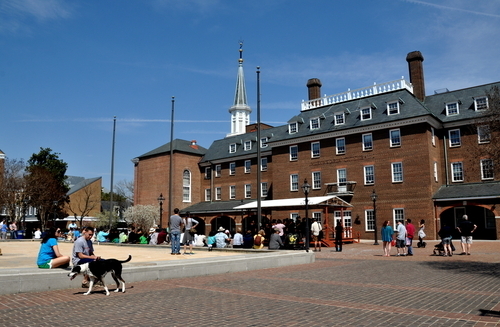 Alexandria Mayor William Euille said the release of the Old Town North property is another important step toward creating a vibrant community there. “We look forward to redevelopment of the site that is appropriate for the neighborhood, improves our quality of life and benefits our residents,” Euille said. The other properties being offered – Ninth & Lawrence Streets NE and Ninth & Kearney Streets NE – are vacant parcels in the Brookland neighborhood of Washington, D.C. They are located about two blocks from the Brookland-Catholic University of America Metrorail Station, and their reuse is expected to strengthen the revitalization underway in the area immediately surrounding the station. Want to get notified whenever we write about Washington Metropolitan Area Transit Authority ? Next time we write about Washington Metropolitan Area Transit Authority, we'll email you a link to the story. You may edit your settings or unsubscribe at any time.